Did you come here to talk? Realm: Tandra is a real made up crop growers and bison herders. They have a simple existence living in sheds and huts in village-type communities. Profile: De facto village chief and leader of his people. Height: 5 Ft 10” Eyes: Brown Hair: Black. Personality: Lone wolf mentality. Contemplative and without fear. 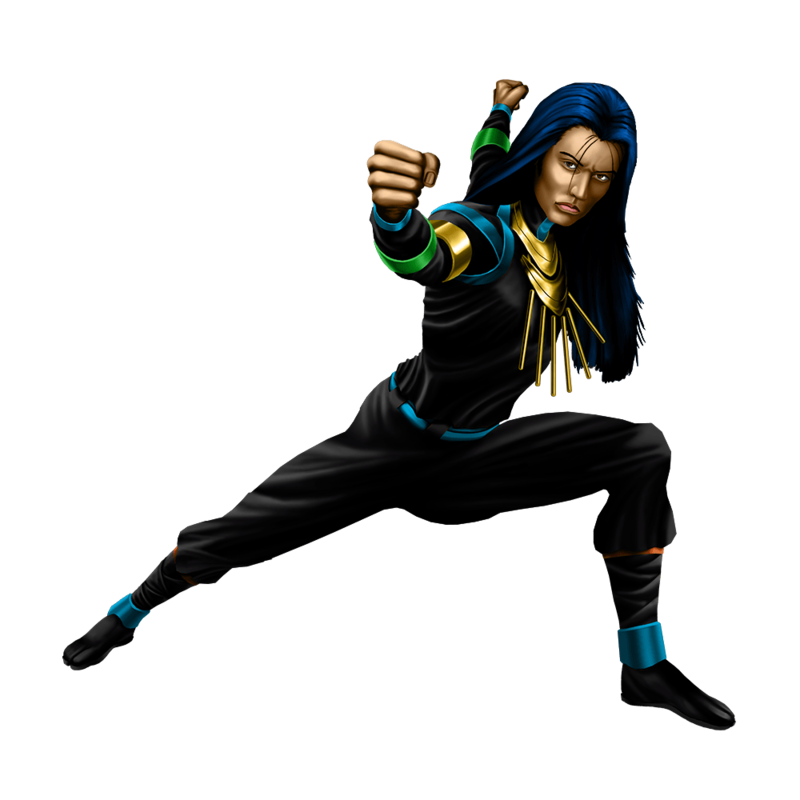 Abilities: Ahoteh is a master of several martial arts disciplines. He is virtually undefeatable in hand to hand combat. He also has the ability to spirit walk. An ancient practice of his people. He is able to separate his spirit from his body at will. Ahoteh was born in the realm of Tandra. A realm made up of people with a very simple and happy life. In the war of Omiciron, the war that ended all wars, the people of Tandra fought alongside the people of Uomi. Before the end of the war, however, the people of Uomi made an alliance with the people of Rilon thus betraying Tandra. The people of Trandra were enslaved by the people of Rilon and suffered many years of oppression. When the war ended, the people of Trandra were released and were repatriated to their homeland. But the chief of Tandra never forgot. That chief was Ahoteh's father. He past on to Ahoteh the ways of the people of Tandra and the distrust of the other realms. When Ahoteh took over the leadership of Tandra, he expanded and enforced his father's isolationist policies further separating Tandra from the other realms. Ahoteh was trained to be a master of several martial arts disciplines. With his skills, he defends his realm with a fierceness that has become legendary. Rumors of his exploits have circulated around New Genesia. So much so that people hesitate to enter Tandra for fear that they will encounter "The Gypsy". A name that men have come to call him. Ahoteh is a lone wolf. He is a man of few words and defends his family and people without hesitation. Okira is one of the few people he trusts because she saved his only son from certain death. He has dedicated himself to be her protector.